Grace Spaulding John. Image available on the Internet and included in accordance with Title 17 U.S.C. Section 107. National Academy of Design, New York City. Image available on the Internet and included in accordance with Title 17 U.S.C. Section 107. Laurelton Hall, Long Island. Image available on the Internet and included in accordance with Title 17 U.S.C. Section 107. JOHN, GRACE ZILLAH BRIGGS SPAULDING (1890–1972). Grace Spaulding John, artist, daughter of Helim George and Gertrude (Sturtevant) Spaulding, was born on February 10, 1890, in Battle Creek, Michigan. She was an eleventh-generation descendent of Edward and Margaret Spaulding, who came to Jamestown, Virginia, in 1619, a year before the Mayflower. She spent the first thirteen years of her life in Vermont, where her father was a newspaper publisher and editor. When oil was discovered in Beaumont, Texas, Spaulding moved the family to Beaumont, where he became editor of the Beaumont Enterprise. Grace first studied art under Penelope Lingan of Beaumont, later of Houston, a portraitist and miniaturist who helped her to begin study at the St. Louis School of Fine Art, Washington University, St. Louis, Missouri, in 1909. In 1912 she began study at the Art Institute of Chicago. In December 1913 she married Roy Bedell Keehnel of Hail, Missouri; they had two children before their divorce in 1917. In 1921 Grace continued her art education in New York City at the National Academy of Design and at the Art Students League, where she studied under Frederic Lloyd Bridgeman and Guy Péné Du Bois. In September of that year she married Alfred Morgan John, an attorney from Houston, Texas. Alfred adopted the children from Grace's previous marriage. In 1923 Mrs. John studied at Parson's School of Design in New York and at the Pennsylvania Academy of Fine Arts, where she was granted a Tiffany Foundation Fellowship. 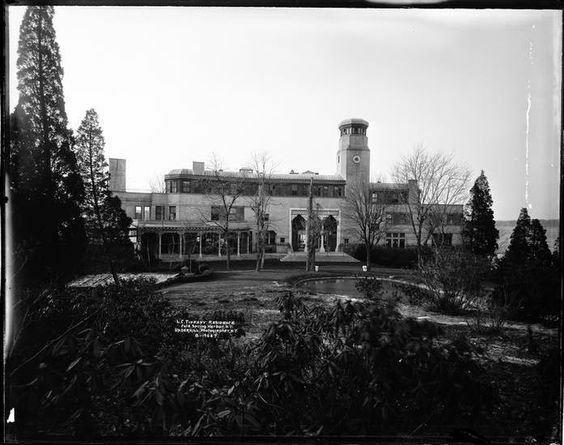 She was one of eight young artists in the nation chosen to study at Laurelton Hall, the estate of Louis Comfort Tiffany, at Oyster Bay, Long Island. Charles W. Hawthorne, the senior resident artist, came to regard her work as outstanding and invited her to teach at his art school at Cape Cod. However, she chose to return to Texas. 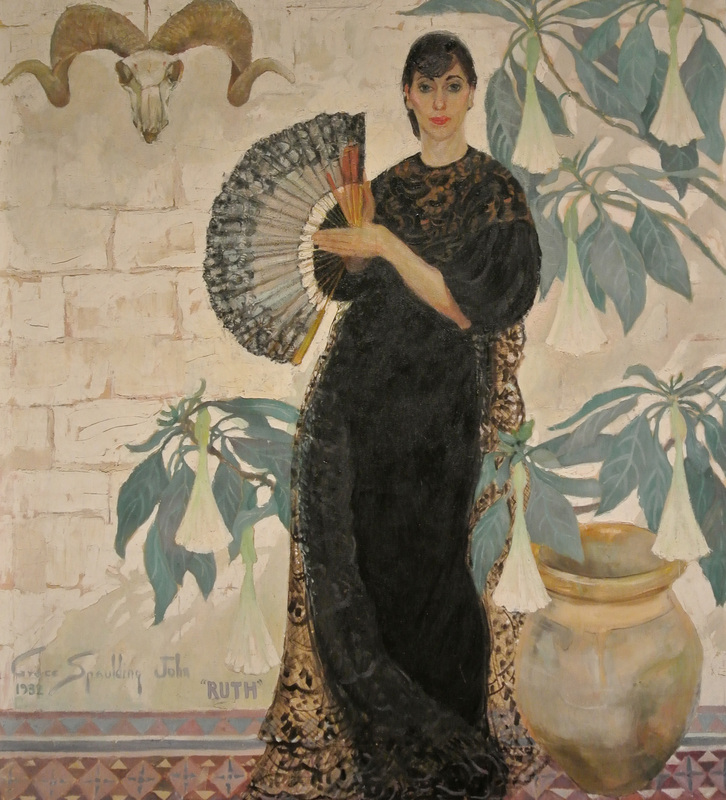 Portrait of Ruth Pershing Uhler, 1932, Oil on Canvas. Image available on the Internet and included in accordance with Title 17 U.S.C. Section 107. Houston, Main Street in the Rain, 1924. Image available on the Internet and included in accordance with Title 17 U.S.C. Section 107. In 1927 she went to Europe, where she produced many scenes of France, Italy, and Spain. The fishing village of Colioure was her home for a summer, and some of her most outstanding canvases were done in Venice. In the 1930s Mexico came to have a lasting fascination for her; some of her best work was done in and around Mexico City. 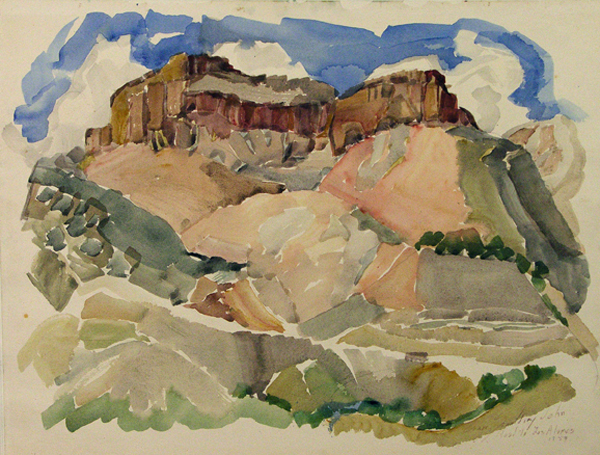 During this period she painted in Taos and maintained a studio in Santa Fe, New Mexico. She was one of the first artists to live and paint there. She also did a series of works in California, Virginia, Florida, Colorado, New York, and Quebec. Among her most interesting are those done in the later part of her life-the Cockerel series and series entitled the Shells of Cozumel, Butterflies and Flowers, and Houses of Quebec, as well as a series of wax-resist sketches done in Florida. Grace John prepared her own canvases; one of her hallmarks was her brown linen canvases prepared with rabbit-skin glue, a technique taught her by Hawthorne at Laurelton. She painted in the traditional manner, out of doors, seated in front of her subject, quickly making a small preparatory sketch and then working on the prepared canvas. She favored brilliant colors, broad brushstrokes, and occasional thick areas of paint applied with a palette knife. She used many media-oil, pastel, conté, charcoal, pen and ink, and watercolor. In addition to her use of such techniques as etching and lithography, she was one of the first artists to use plexiglass as a medium. Her portraits were in considerable demand; among them were those of Thomas Mann, Edgar Lee Masters, and Risë Stevens. All of her portraits were done from life. High Country Road to Los Alamos, 1957, Watercolor on Paper. Courtesy of the New Mexico Museum of Art. Image available on the Internet and included in accordance with Title 17 U.S.C. Section 107. The Pier in Galveston. Image available on the Internet and included in accordance with Title 17 U.S.C. Section 107. She had several solo exhibitions at such institutions as the Museum of Fine Arts, Los Angeles (1935); the Museum of Fine Arts, Houston (1936 and 1952); and several galleries in California and New York City. In 1988 her work was the subject of two retrospectives, one at the Museum of Art of the American West in Houston and the other at the Rosenberg Library in Galveston. Her murals are in the Houston City Hall, the Buccaneer Hotel in Galveston, Sidney Lanier High School in Houston, the Lakewood Yacht Club in Clear Lake, and several banks in Houston and San Antonio. Though most of her murals are in Texas, some are in the Kansas City Art Museum in Kansas City, Missouri. Some Texas collections of her work are found at the Sam Houston Regional Library and Research Center in Liberty, Rice University, the Harry Ransom Humanities Research Center at the University of Texas at Austin, and the Houston Public Library. The Museum of the City of New York, the Smithsonian Institution, the Archives of American Art, and the National Museum of Women in the Arts also have works by John. She received awards from the Museum of Fine Art, Houston, and the National American Pen Women's Association of Houston. She was a member of the National Association of Women Painters and Sculptors, the Houston Art League, and the American National Association of Pen Women. She also published several books of poetry illustrated with her own line-drawings. She worked at her art until her death in Houston on July 22, 1972. M. Hal Sussman, "Grace Spaulding John," Southwest Art, June 1988. Texas Artist, January 1955. Handbook of Texas Online, Patricia John Keightley, "JOHN, GRACE ZILLAH BRIGGS SPAULDING," accessed April 19, 2019, http://www.tshaonline.org/handbook/online/articles/fjo95.